SEO and user-generated content do not always tend to have a simple relationship. There’s no doubt about how user-generated content can give a search engine a treasure of information that it can work with. While it has the power to massively improve a site’s rankings for long-tail search traffic, it can simultaneously be redundant, spammy, easily dilute authority, and sometimes such low-quality content can even earn a website a stern action from Google. So how does an SEO company in India best leverage all the user-generated content in order to obtain positive results? SEO services, India and abroad, always give special emphasis to user reviews. User reviews forms a great tool to get to the gist of what might be working for you and what against you, if your website is an e-commerce platform or a marketplace selling products or services. Incorporating user reviews into your site, or specifically, to your product pages also has a special advantage – while the user reviews boost the word count on the pages, they also help giving more information to the search engines that they can further work with. In addition, as any SEO expert agency would tell you, user reviews align really well with the quality guidelines of Google. What drives the quality rater guidelines of Google the most is how well the purpose of a page, i.e. the purpose of its content aligns with what a user-generated query specifically has asked for. Add to that, content like product reviews by verifiable users that help others evaluate a product’s quality, which in turn judge the very reputation of a website; it just goes on to show how user reviews work on every level! This is the content that you collect from various sources on the Internet, which then you organize, re-work, and finally re-publish. This is user-generated content, which while created by others, can be consolidated by repackaging and publishing it under whatever framework. As an example – ‘ten times this year when we actually found a healthy Indian recipe that’s delicious too!’ – this would be a collection of top-ranked or most-read blog posts in the health-nutrition industry, selected by say, an SEO expert in India, which would then be curated accordingly. Also, content curation does not always have to be limited to working with content that has been created by other professionals; you can even curate content that has been created by your own audience, furthermore garnering positive SEO results in response. It is quite well known amongst the SEO professionals that pages having more words do tend to rank better; it’s also been widely acknowledged that this doesn’t always happen to be the case, as so many times, we stumble upon a page with a high word count while still not being the most useful for a user’s query. The previous two points have, in one way or the other, been about consolidating user-generated content. So, let’s talk about this last, and the most important point, in a little detail. Pages which usually offer answers to multiple queries are generally more liked by users. They obviously give Google much more content to work with, compared to pages which do well only for a few queries. Search engines like Google have a good reason, therefore, to rank such pages right on the top of the bunch. We already know how pages that have long-form content generally give more in-depth information, while oftentimes approaching a topic from more than one angle; simultaneously, they tend to refer to a wider number of queries. This is what we call a snowball effect, a page gets ranked by Google for more and more keywords, till it eventually becomes a sort of go-to page for that topic. 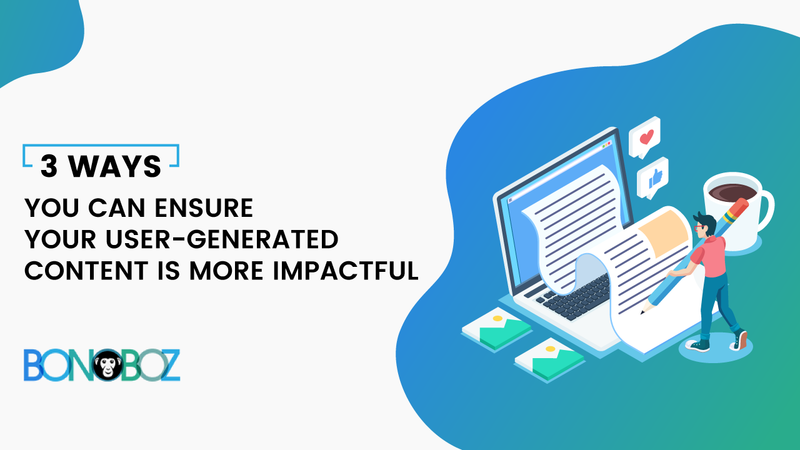 Every SEO services company in India would be of the opinion that there could be a number of potential issues with a piece of user-generated content; one of them would be – how the comprehensiveness of such content can either easily be a hit or as easily a miss. It doesn’t matter if a user uses thousands of words, while there’s someone else who can answer the same question in a better way, using no more than a dozen words. Therefore, it is always a good solution to pool all user-generated content together and use a single page to consolidate all the related content. For consolidation, you’d need to identify all URLs that rank for related queries, make sure the consolidated page is not just an existing URL, but the one that outperforms all other pages. You could keep up the lower performing pages for UX purposes, or take them down if you so feel. Lastly, all user discussions should be moderated so that any content that in no way meets the community standards is removed before it harms your quality score. What makes one the best SEO company in India or abroad is how they help you deploy all your user-generated content; because if it’s done properly, it can prove to be a massive asset for your website.